“I want you to know that everyone in the company is thinking about you and cares about you.” That’s what the president of the first company Dr. Elizabeth Croft ever worked for told her on December 6, 1989 after finding out about the École Polytechnique Massacre. 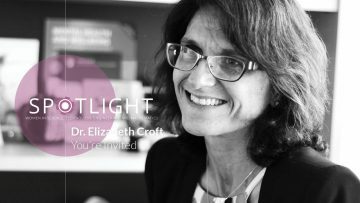 That simple action helped Dr. Croft feel welcome as an engineer and set her on a lifelong mission to make others feel welcome too. ‘I finally feel like I have the knowledge to actually make an impact.” After Dr. Wenying Liu’s many years of school, she finally feels like she has the tools to leave behind a legacy. 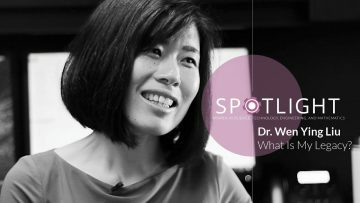 Find out out how Dr. Liu’s research allows her to help solve a global issue and contribute to society.